Picture of the Uruguay River, in the border between Argentina and Brazil, taken from San Javier, Misiones, Argentina. English : Picture of the Uruguay River, in the border between Argentina and Brazil, taken from San Javier, Misiones, Argentina. The Ossau valley in the French Pyrénées. English : The Ossau valley in the French Pyrénées. Bud of aloe vera flowers. English : Bud of aloe vera flowers. Former signal tower at a quay in the port of Kobe, Japan. English : Former signal tower at a quay in the port of Kobe, Japan. The Nobel Peace Prize Concert is held at the concert hall of Stockholm, Sweden. English : The Nobel Peace Prize Concert is held at the concert hall of Stockholm, Sweden. Penguins on the Puerto Madryn coast, Argentina. English : Penguins on the Puerto Madryn coast, Argentina. Four-stroke cycle, also known as Otto Cycle. English : Four-stroke cycle, also known as Otto Cycle. BMI Airbus A330-200 (G-WWBB) in the take off queue at London (Heathrow) Airport, England. English : BMI Airbus A330-200 (G-WWBB) in the take off queue at London (Heathrow) Airport, England. 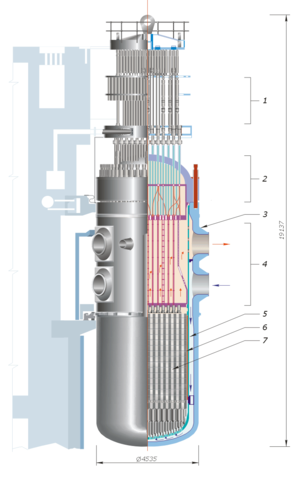 Schematic picture of a Russian nuclear reactor type VVER-1000 (PWR). English : Schematic picture of a Russian nuclear reactor type VVER-1000 (PWR). European garden spider or cross spin (Araneus diadematus) with wasp. English : European garden spider or cross spin (Araneus diadematus) with wasp. Santa Claus with a little girl. English : Santa Claus with a little girl. The Perito Moreno Glacier in the Los Glaciares National Park, Santa Cruz province, Argentina. English : The Perito Moreno Glacier in the Los Glaciares National Park, Santa Cruz province, Argentina. Exterior of the Main Entrance of the Daytona International Speedway at nighttime. English : Exterior of the Main Entrance of the Daytona International Speedway at nighttime. A 'window' at the Yuyuan Gardens in Shanghai, China. English : A 'window' at the Yuyuan Gardens in Shanghai, China.